Over the course of three days, experts at SMX West 2012 presented a wide variety of trending topics in the search industry – ranging from the Evolution of Social Media ROI, to Tips on Competitive Analysis – while also touching on one of the fastest growing local channels in Google Places. But the question remains, where does that leave PPC? Included below are the top 10 key initiatives as originally presented by the aforementioned SMX experts and recapped by the Milestone PPC team. Leverage iSEO Plug-in for Chrome. Why use it? For the sake of cross channel optimization, any hotel should be leveraging their top performing organic keywords in their PPC campaign. Use iSEO and see exactly what organic keywords are performing well for your comp-set so that you can use these in your own campaign. Test the Yahoo Clues Tool for Trending Keywords. Why use it? Functioning in a similar manner to Google Insights, Yahoo Clues provides users with a unique insight into the evolution of any keyword over time. When looking to plan out a future campaign, use Yahoo Clues to know exactly when you can expect that keyword to begin trending positively. Figure 1: Yahoo Clues also provides users with some interesting analytics, including this info graphic breaking down search trends for “New York Hotels” by demographic. Why use it? Milestone has long been a proponent of the AdWords Editor (Google’s tool for making AdWords edits off line) and is happy to see Microsoft provide the same service. Anyone looking to make bulk edits to their Bing PPC campaign should look to Bing’s new desktop client. Why use it? Try testing out more assertive style AdCopy in your PPC Campaign in an attempt to raise the CTR of any sluggish AdGroup. Keep the AdCopy enticing and always ensure that you are speaking to your audience not at them. Why use it? Increased multimedia capabilities and increased reach are two big reasons for experimenting with banner based advertisements in 2012. Don’t always expect to generate the same ROI as your regular PPC campaign, however if you are looking to strengthen the overall exposure of your brand, banner advertising is a great outlet to do so. Why use it?While not a novel initiative, advertisers should continue using Google suggest because it is a free tool within Google, updates according to search trends, and easily shows variations or long-tail keywords of any common generic search terms. Figure 2: Google Suggest automatically generates the most popularly searched long-tail terms. b) they take up more search page “real estate” – helping your ad’s exposure. With the variety of extensions now available (location, social, click-to-call, etc.) there’s an extension for every business vertical. Why use it? 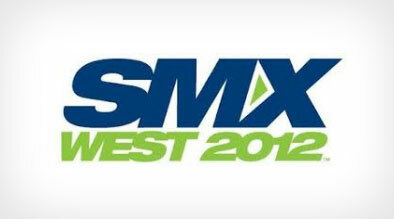 A new idea shared at SMX West 2012, the idea turns the process of campaign organization on its head. Instead of the typical organization by keyword themes, one expert suggested organization by what extensions advertisers plan on activating for the campaigns as the extensions will have a big impact on the messaging of the ad copy. Why use it? Pulling search query reports (SQR) for either platform is a quick way of identifying what keywords are operating well, areas of opportunity, and keywords that are not suited well for your campaigns. When used together – these SQRs act as market research tools and ensure both campaigns are staying ahead of any new keyword search combinations users might be searching. Why use it? As businesses continue promoting their products and services through Facebook, advertisers will need to rely on greater targeting parameters to refine and reach their target audience. Facebook is unique in that targeting is determined by demographics, interests, and likes as opposed to keyword themes, so advertisers need to adjust the way they approach targeting for the best results. As any good PPC manager would tell you, be sure to test each of the initiatives mentioned above to determine which would be the best fit for your campaign. Regardless of whichever initiative you chose to follow, the key takeaway from SMX West 2012 was to continue to grow your campaign into new markets. There are more channels than ever to increase brand exposure and most importantly increase revenue so don’t be afraid to test the waters!